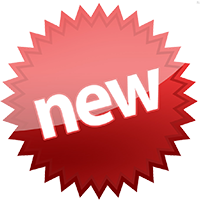 Chapter Tap 2.0 Now Available! Download the latest update from the App Store. The easiest way to track and reach your daily scripture reading goals. As you read the scriptures, simply tap on the chapters you have read on this iOS app and watch the progress bar instantly update. Set a goal date and Chapter Tap will let you know what chapter you should be reading today and display if you are ahead or behind your goal. Never forget what chapter you are reading and achieve your scripture reading goals with Chapter Tap! 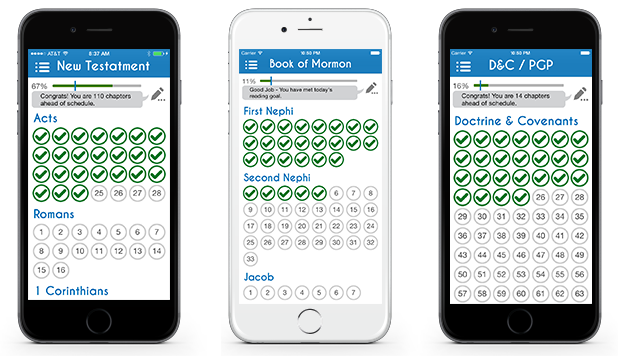 We offer 3 different iOS apps, depending on the scriptures you want to track. The apps work on Apple iPhone, iPod Touch and iPad. Tap the chapter number to mark that chapter as read/unread. Progress bar displays the percentage of scriptures you have completed. 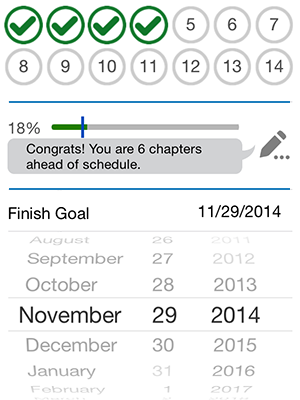 Set a finish goal date and the app will tell you what chapter you should ready each day to reach your goal. Color coded progress bar and custom messages shows if you are ahead, behind or on track with your reading goal. Virtual bookmark, so you always know what chapter you are reading, no matter what set of scriptures you are reading from. Copyright © Great Scriptures 2010-2017.